Let's face it; Supreme isn't the most original of brands. They are original in how they changed the face of streetwear forever. But their actual item designs? Exhibit A: back in 2000, Supreme created "Vuitton" decks, caps and Box Logo T-shirts that (surprise surprise!) completely ripped the Louis Vuitton flower monogram print. 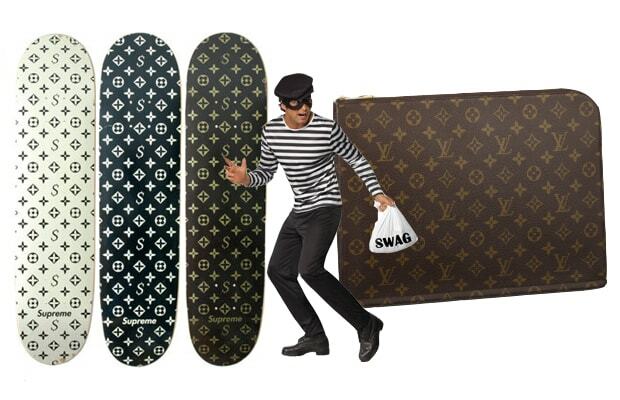 Obviously, LV was having none of this and had all items recalled within 2 weeks, making the Supreme Vuitton collection one of these most sought after Supreme items to this date.